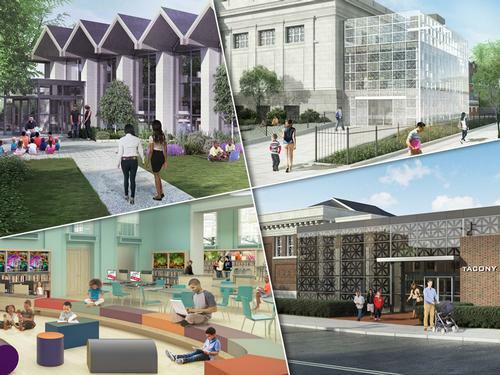 We are thrilled to announced that in the coming months, we will be reopening FOUR neighborhood libraries, following their extensive modernization and expansion! Logan, Lillian Marrero, Tacony, and Lovett Memorial libraries have been reimagined as part of the Free Library’s Building Inspiration: 21st Century Libraries Initiative, a transformational project to reshape neighborhood libraries in Philadelphia to meet the changing needs of today’s library customers. Each library has a unique programmatic focus, chosen in response to identified community needs. 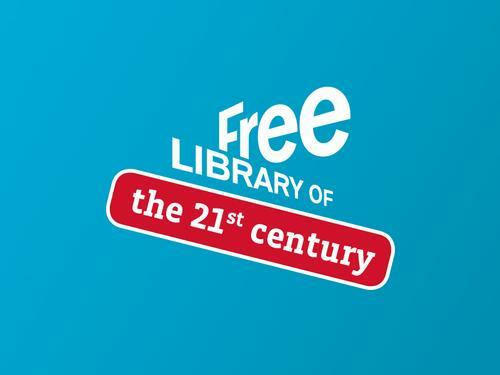 The transformed 21st Century Libraries are all ADA compliant and include an improved circulation desk; updated program, meeting, and study rooms; and a computer bar. All have been fitted with warm, state-of-the-art spaces, including a vibrant Children’s Library, dedicated Teen Zone, and a customized Pre-K Zone, as well as a welcoming living room space. The libraries will also include site-specific commissioned artwork, supported by the City of Philadelphia’s Office of Arts, Culture, and the Creative Economy’s Percent for Art Program. Join us for grand reopening celebrations at all four libraries! Logan Library │ Saturday, November 4 │ 1:00–3:00 p.m.
Logan will have a programmatic focus on family literacy and will include a new reading garden. Lillian Marrero Library │ Saturday, November 18 │ 12:00–3:00 p.m.
Lillian Marrero’s programming will emphasize both early-childhood literacy and resources for new Americans, bolstered by expanded bilingual resources and enhanced workplace readiness resources. Tacony Library │ Saturday, December 2 │ 12:00–4:00 p.m.
Tacony’s new Small Business Resource Center—developed in response to the work of the Tacony Community Development Corporation, which has been working to establish the neighborhood as a quality destination for shopping and dining—will focus on small businesses and entrepreneurs. Lovett Memorial Library │ Saturday, December 16 │ 11:00 a.m.–3:00 p.m.
Lovett Memorial’s programming will emphasize the Mt. Airy Community. Renovations were developed in close collaboration with Mt. Airy USA, which provided landscaping and a beautiful new garden for the community to enjoy. This transformational work has been made possible in large part by a historic $25 million gift from the William Penn Foundation—the largest private gift ever received by the Free Library—as well as a number of private individuals, institutional funders, and the City of Philadelphia. The Free Library collaborated with architect James. 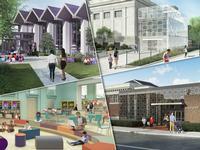 R. Keller, who specializes in design and planning for libraries, to reimagine these neighborhood libraries. These dynamic 21st Century Libraries will serve as models of what a library today can and should be. We can’t wait to welcome these communities home to their neighborhood libraries! Logan, Lillian Marrero, Tacony, and Lovett Memorial libraries have been reimagined as part of the Free Library’s Building Inspiration: 21st Century Libraries Initiative, a transformational project to reshape neighborhood libraries in Philadelphia to meet the changing needs of today’s library customers. I think that is spectacular. Thanks for some of the best years in my life. This is amazing. If most people only knew the large impact these small steps have on our kids and community's education and social growth. We need this. Thanks!